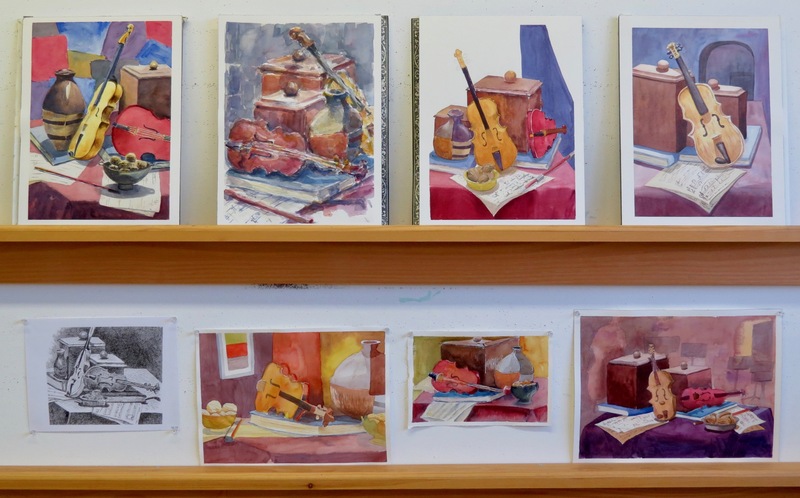 « Winter Wednesday Watercolour Class at DVSA – Week Four! This entry was posted on 07/02/2019 at 1:39 pm and is filed under Arts on Adrian, Barry's Demonstrations, Studio Classes. You can follow any responses to this entry through the RSS 2.0 feed. You can leave a response, or trackback from your own site. Barry, you have such varied and inventive set ups! They must be a pleasure to paint. I try. Thanks for noticing. They’re a lot of work. I enjoyed all but, really helped me with drawing the violin, drew a Violin, but did not turn out as good as yours, So thanks for sharing. As always I learn from your post. Thank you!